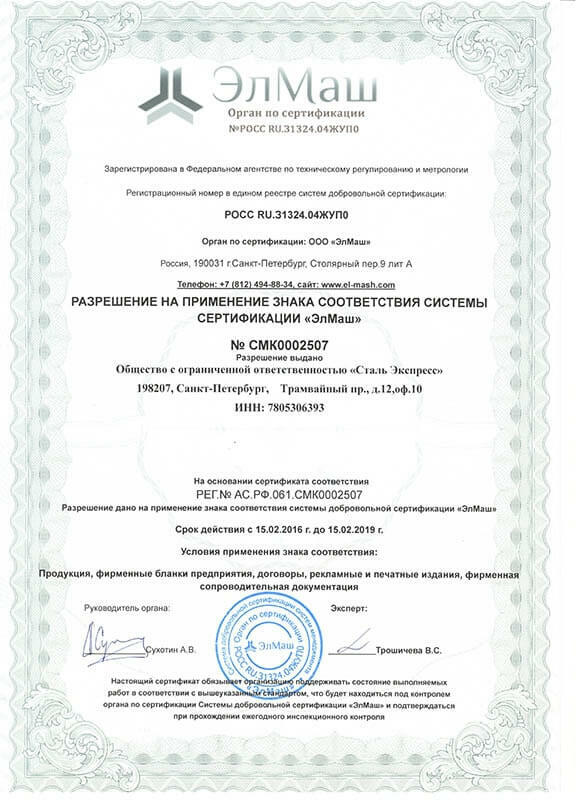 We care about our professional reputation. 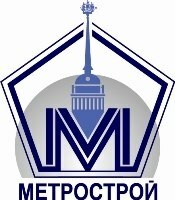 Working for you since 1996.
to the third parties. 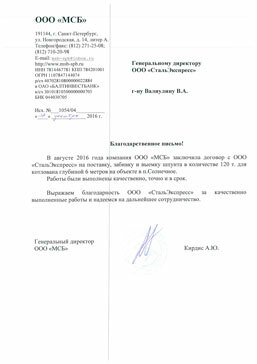 It will not be used for e-mail newsletters. 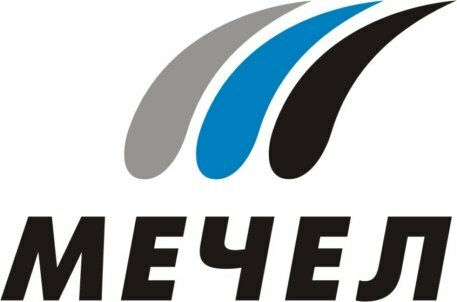 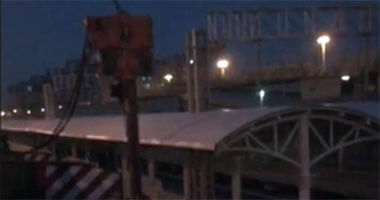 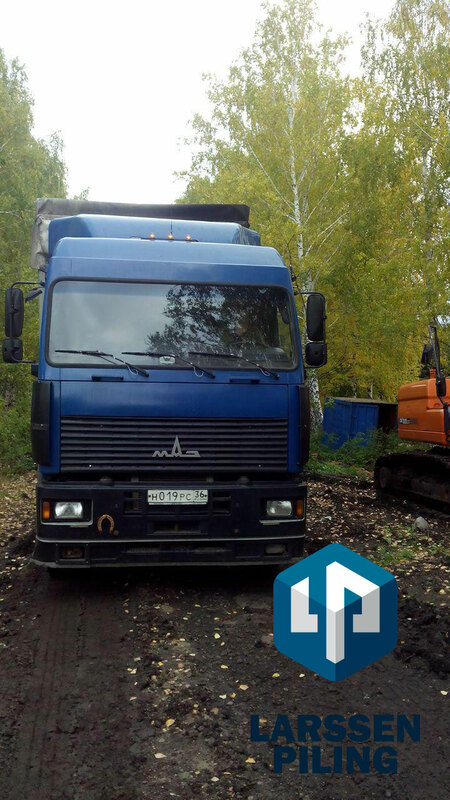 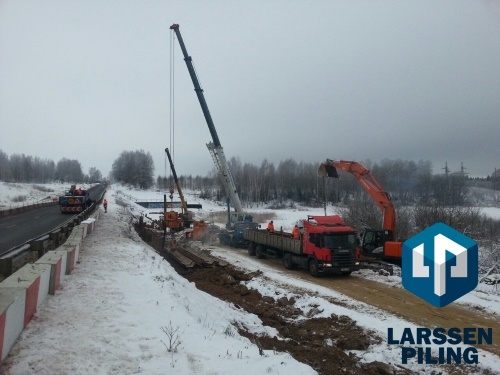 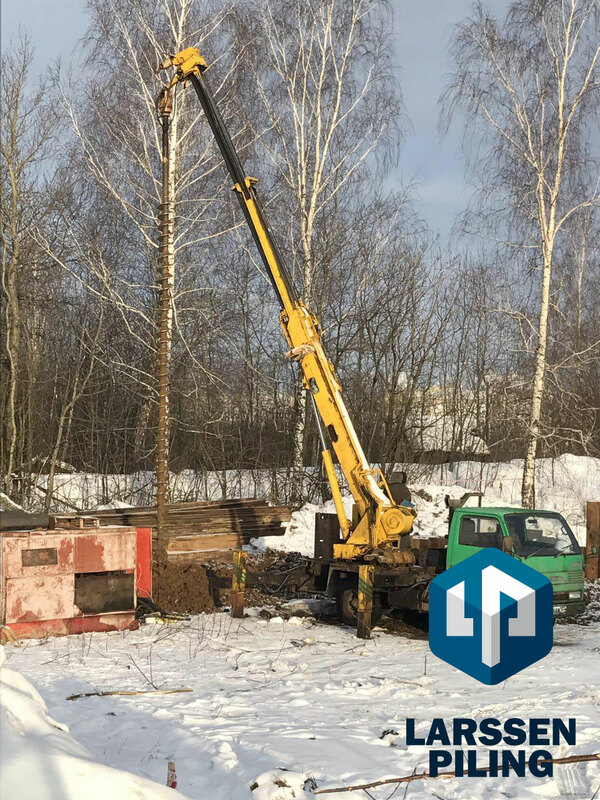 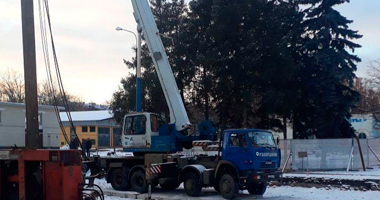 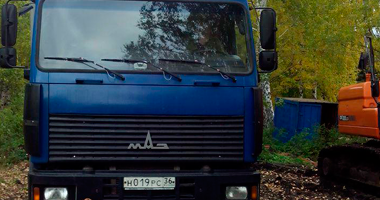 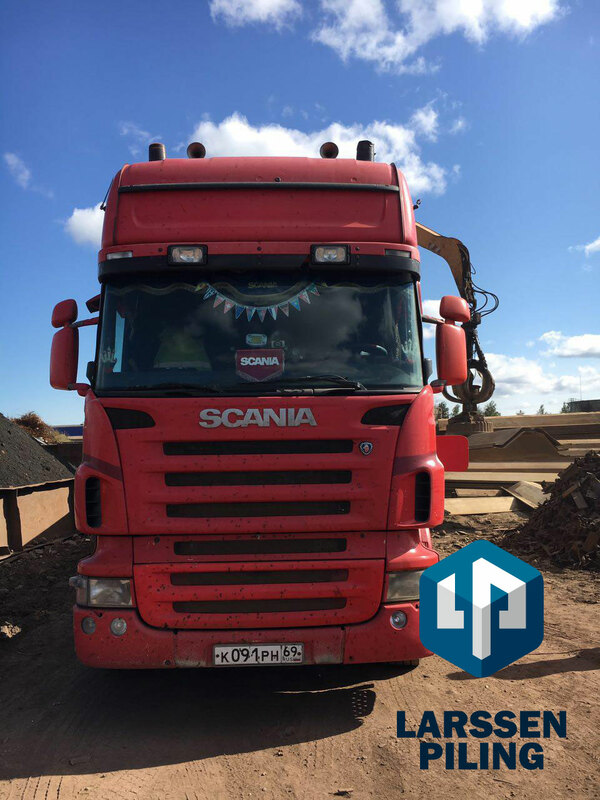 We work all year long throughout Russia even in confined conditions. 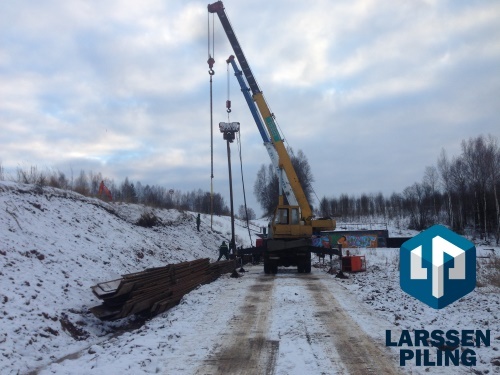 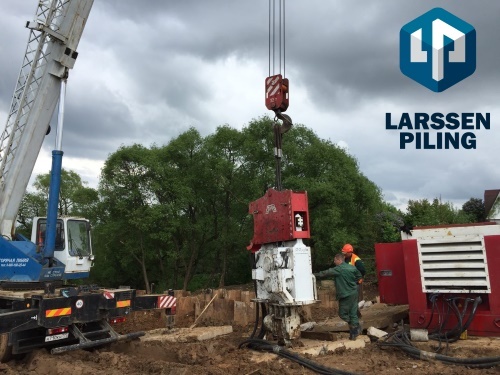 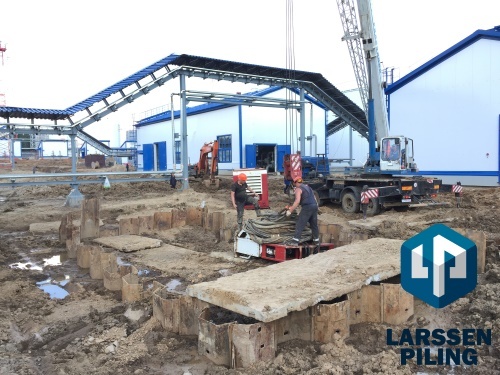 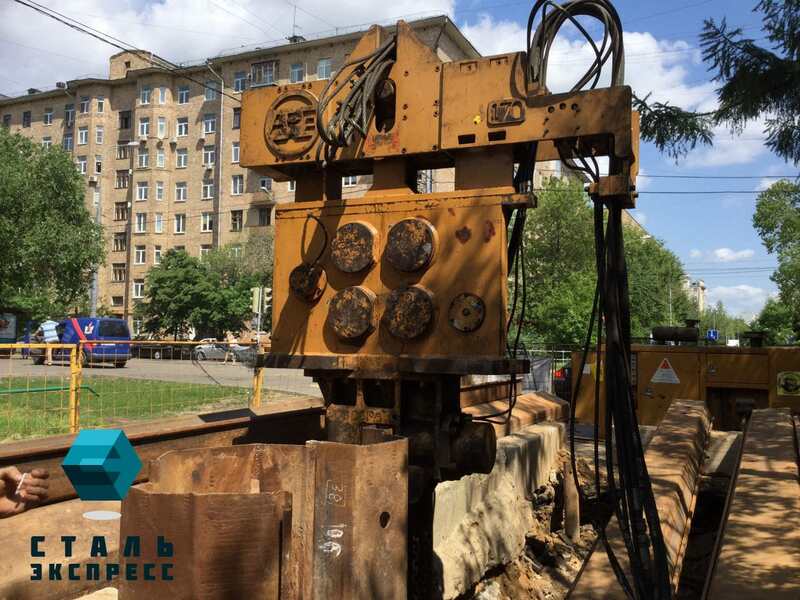 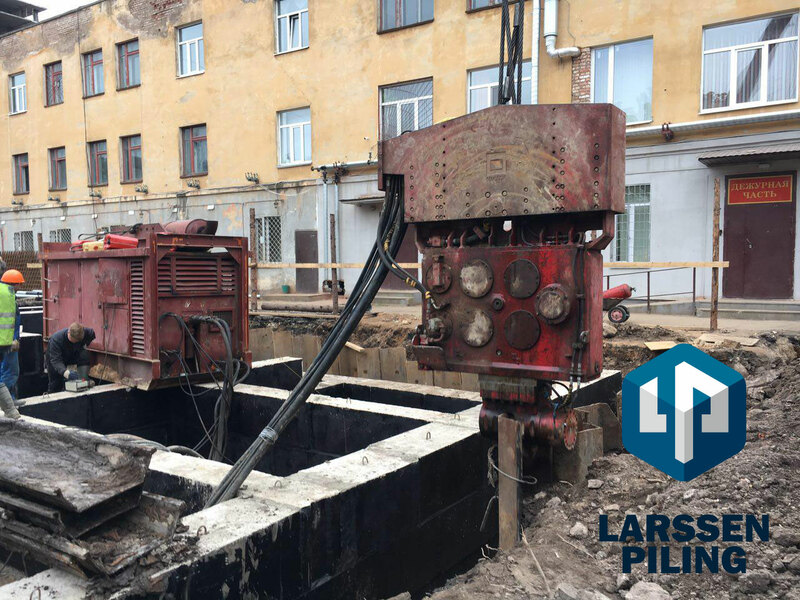 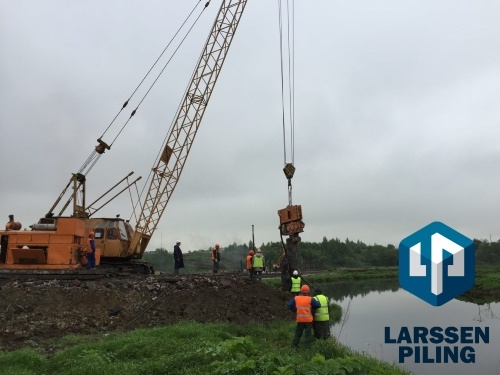 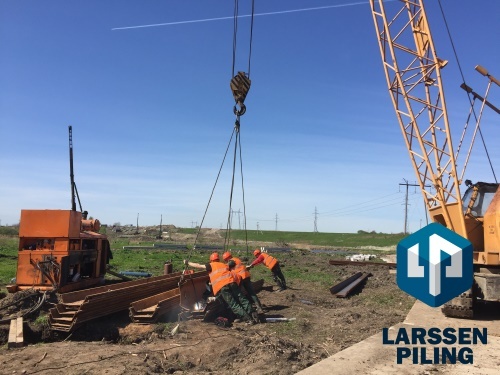 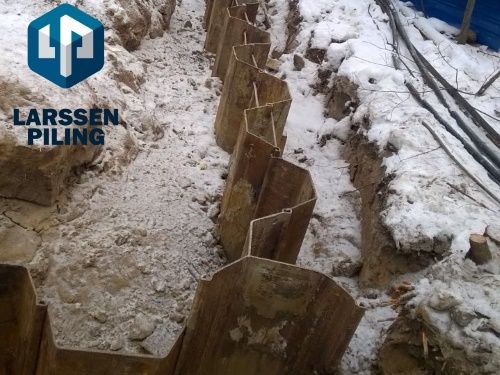 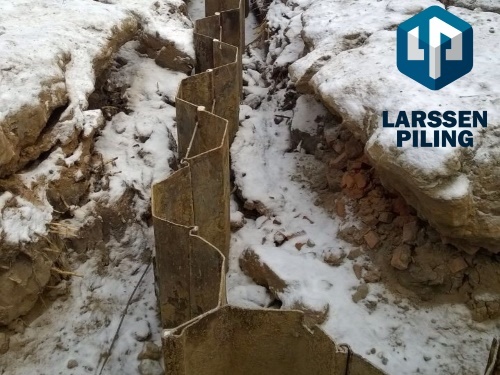 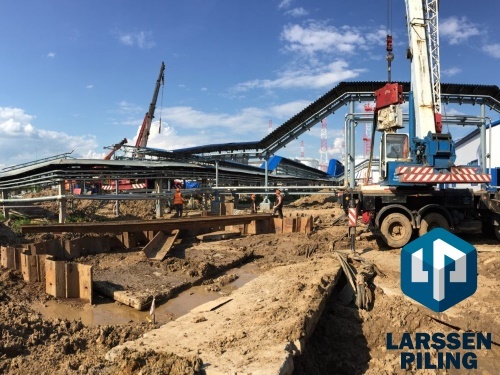 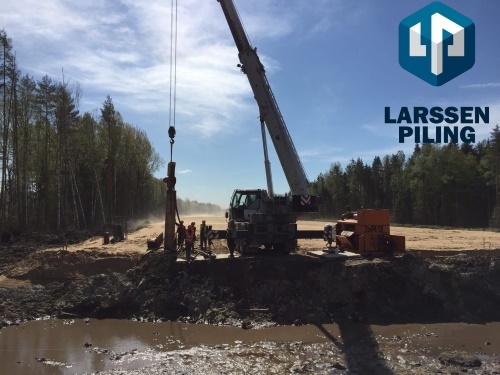 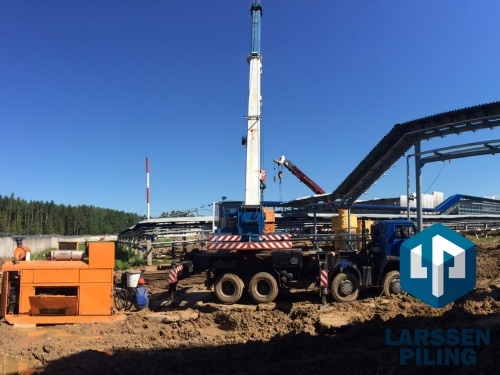 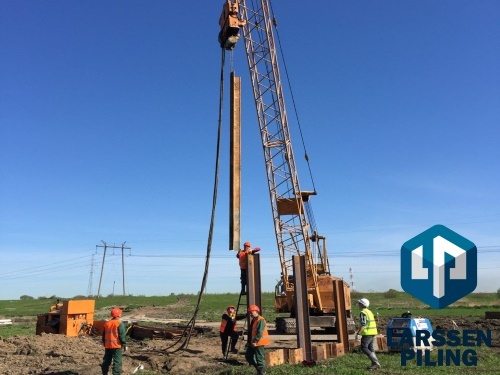 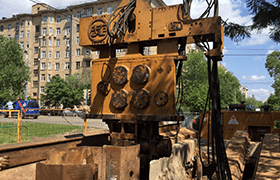 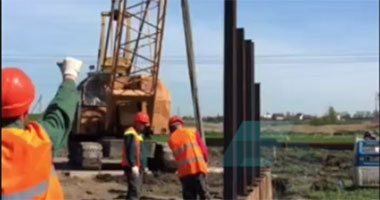 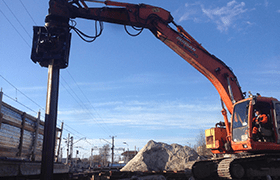 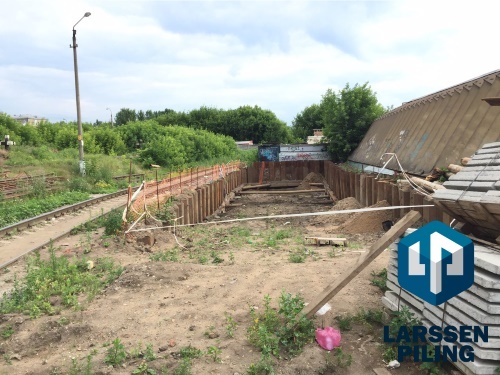 We select the equipment and sheet piles, taking into account geological conditions and the load specified in the project. 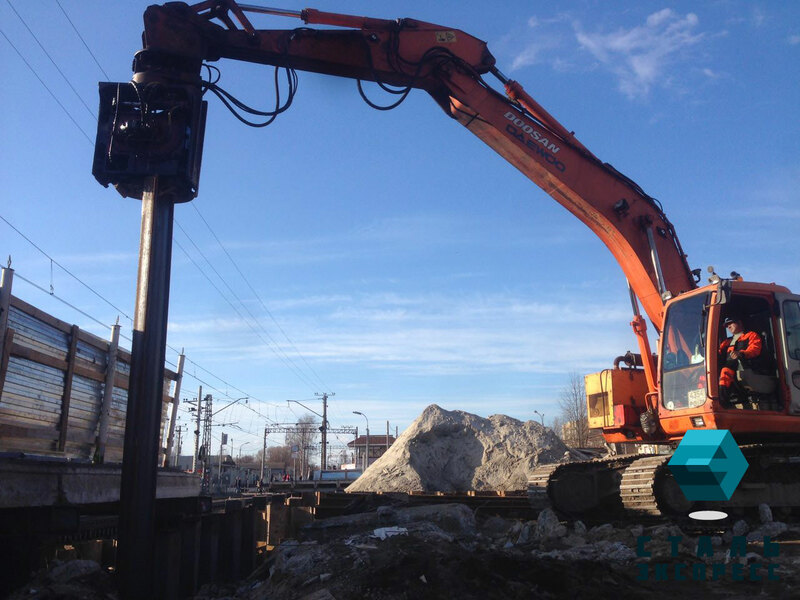 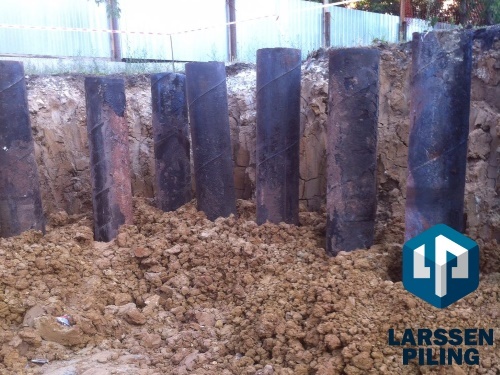 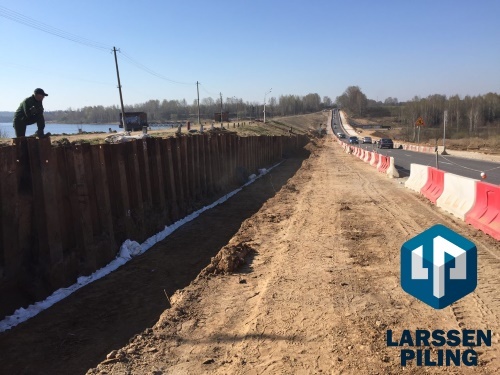 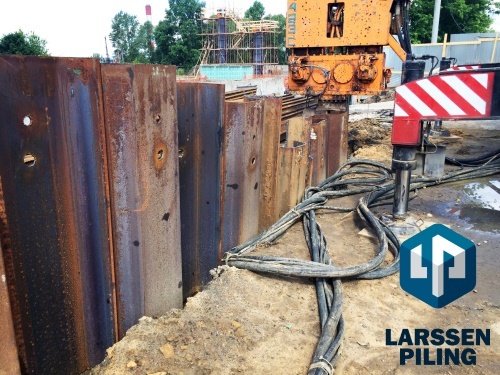 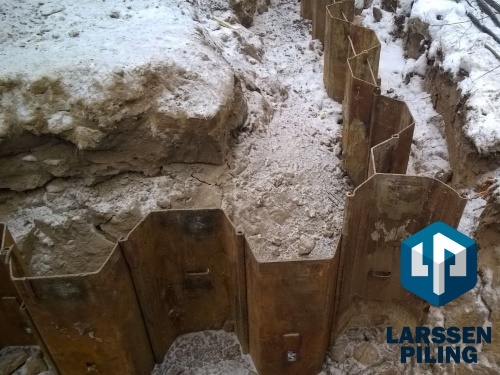 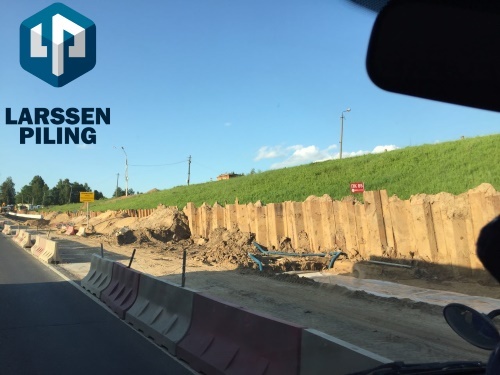 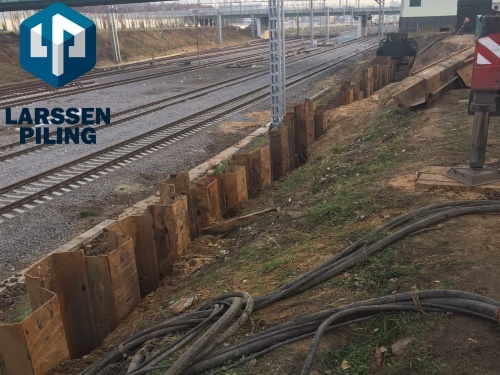 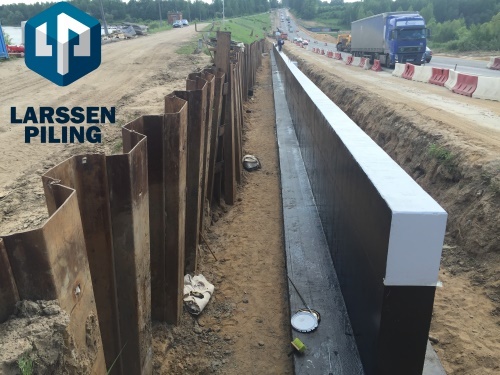 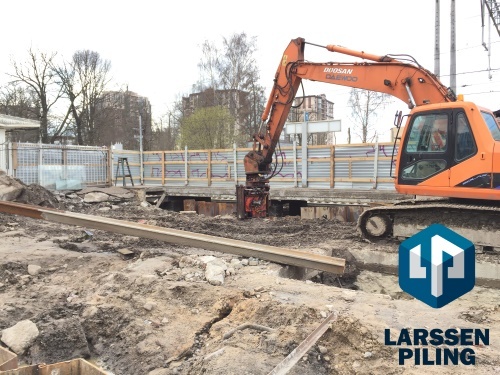 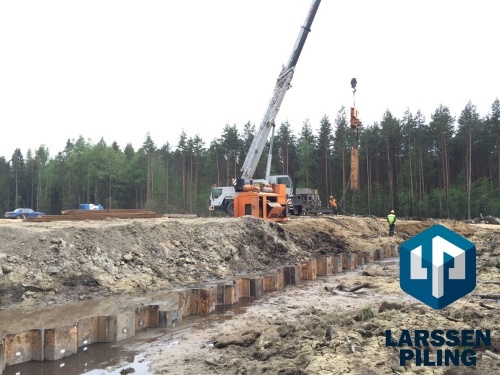 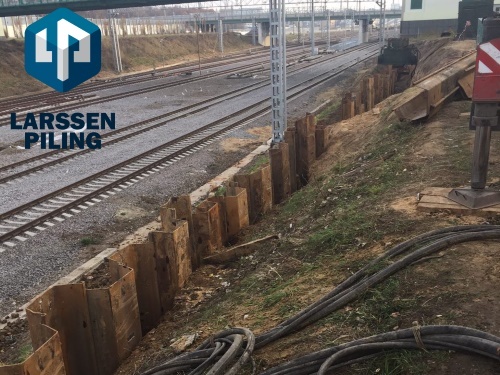 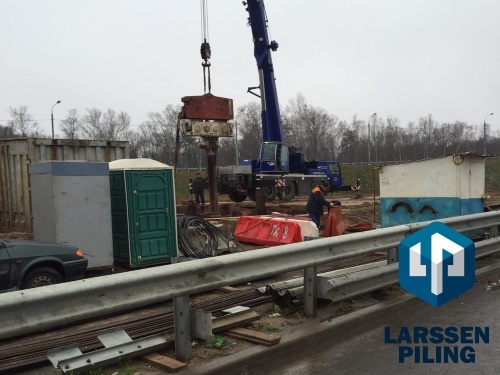 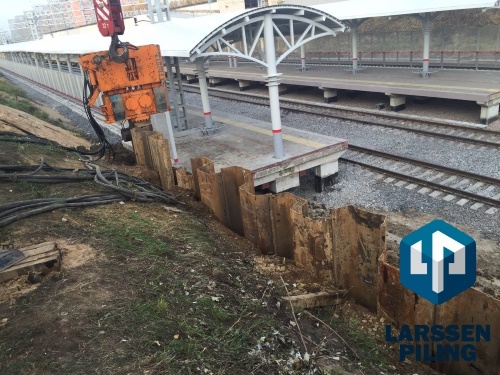 We are always able to offer an alternative, more economical sheet piles from the European manufacturers. 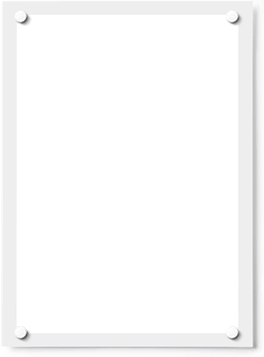 We save your money and never charge extra. 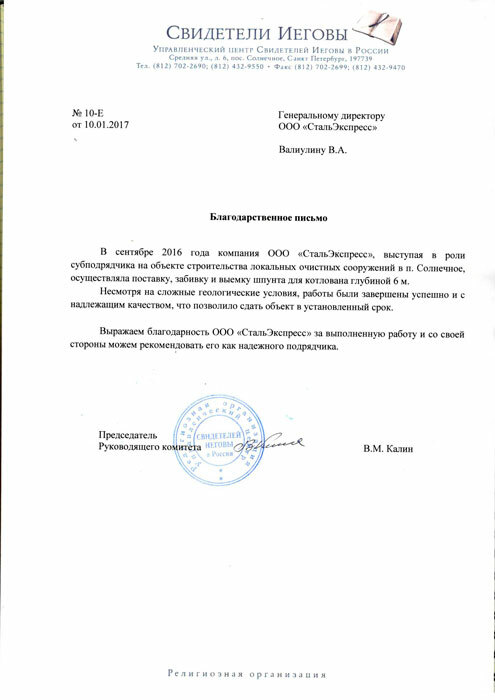 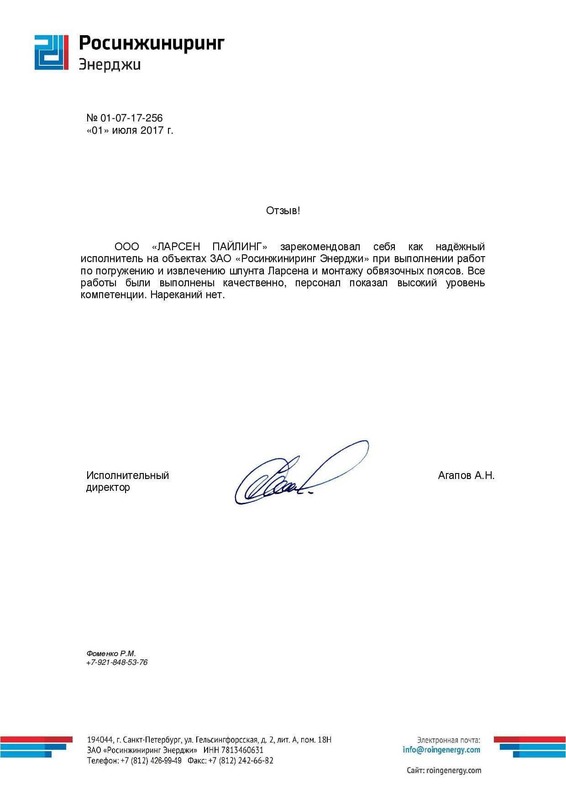 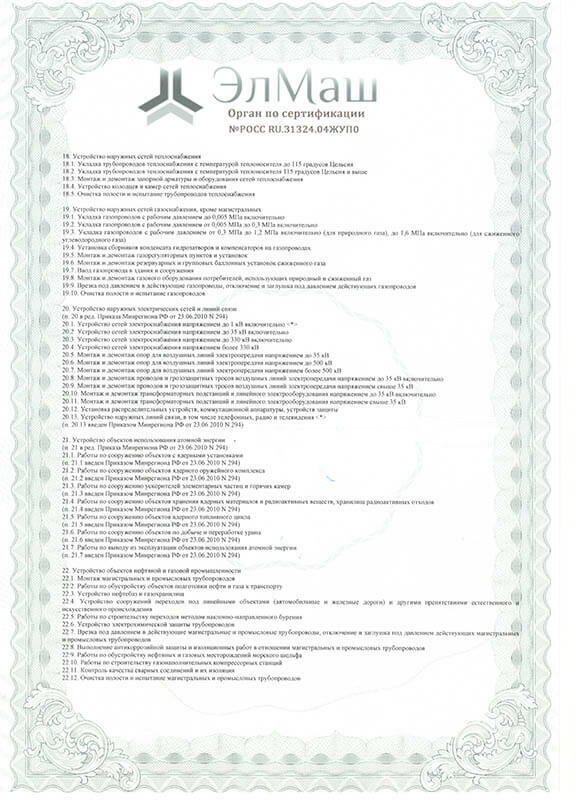 We are responsible for every ruble spent. 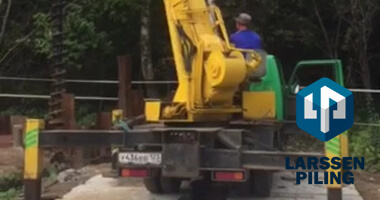 Full documentary support during execution of work. 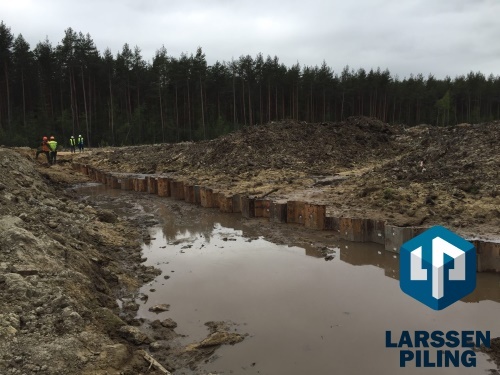 Construction foreman maintains all the logs; we provide all the required documents after completion of the work. 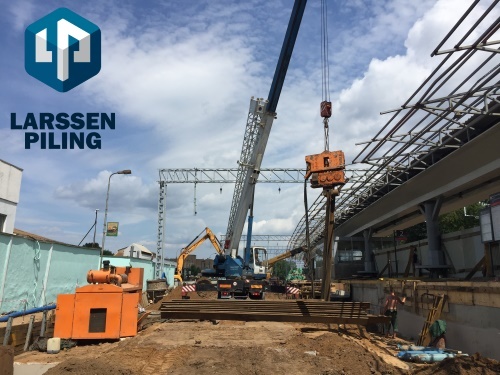 We help you with engineering and construction design supervision. 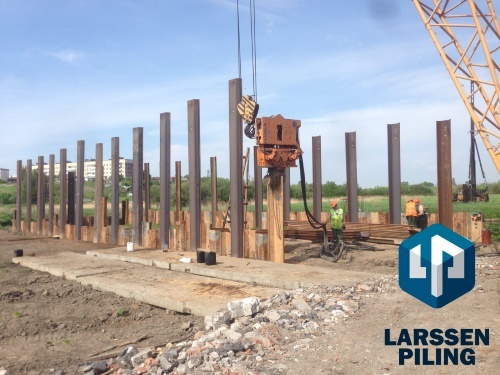 We always have sheet piles at our warehouse. 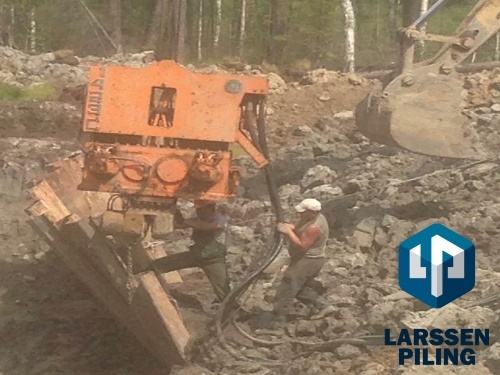 On request, we can organize work around the clock seven days a week. 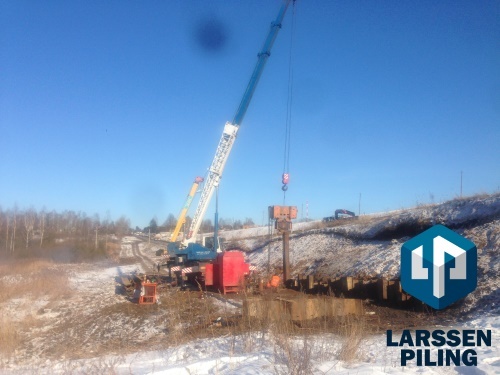 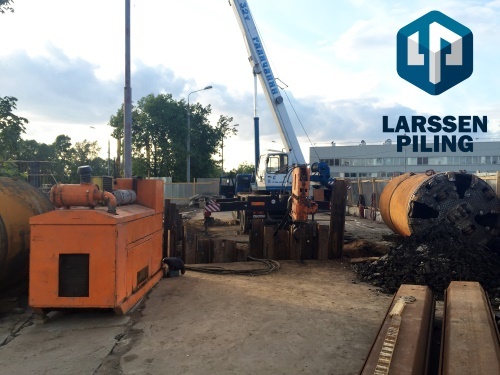 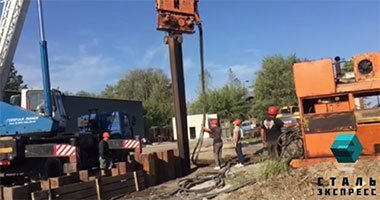 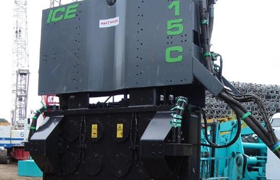 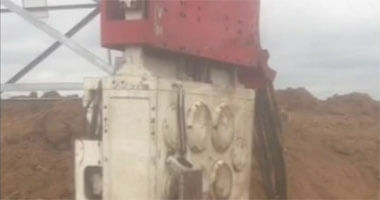 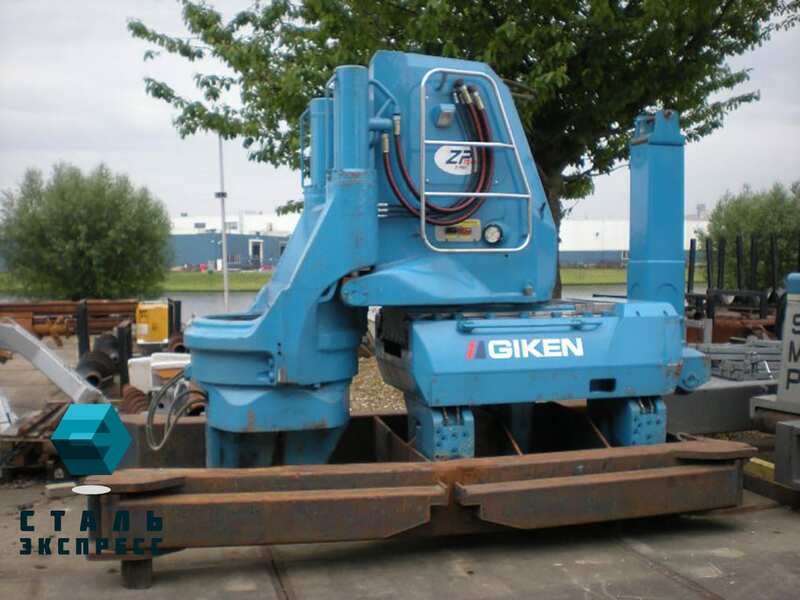 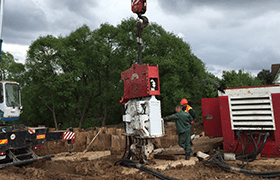 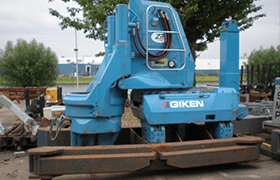 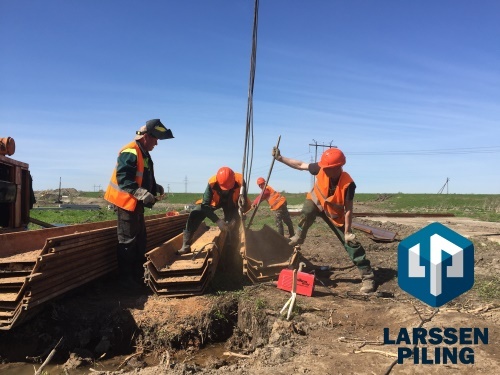 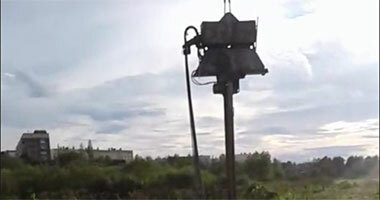 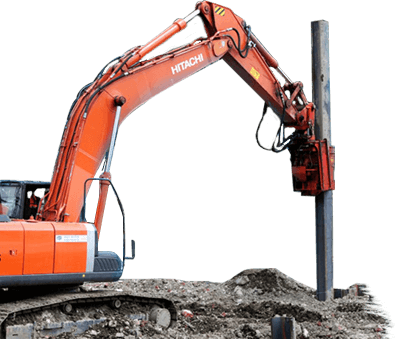 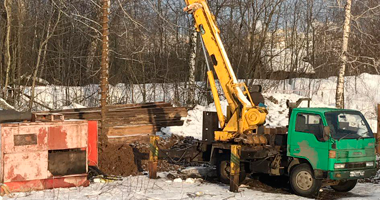 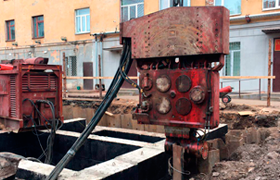 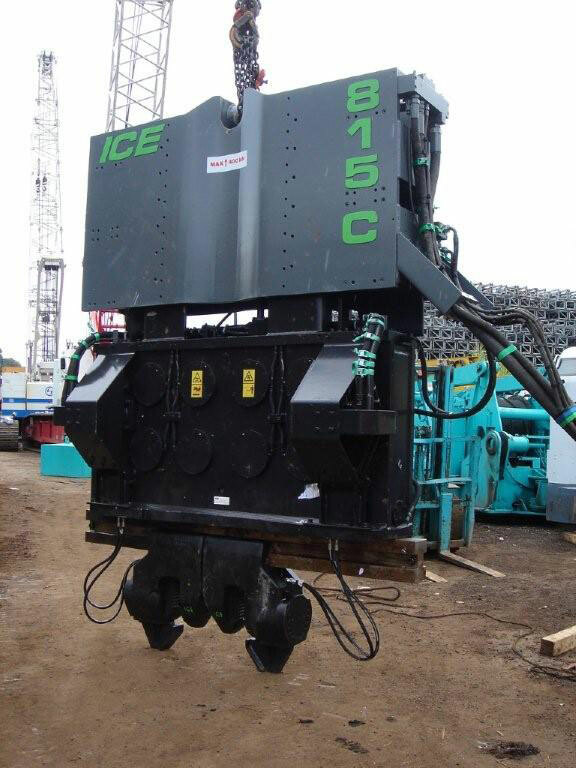 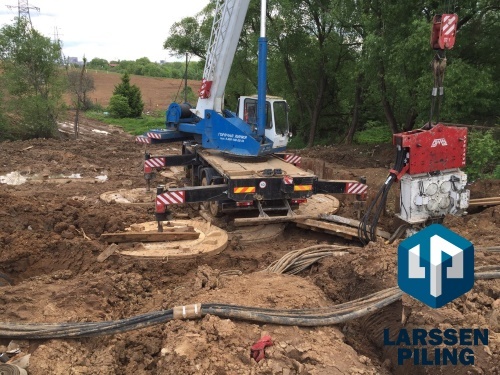 We can use up to 4 vibratory pile drivers simultaneously. 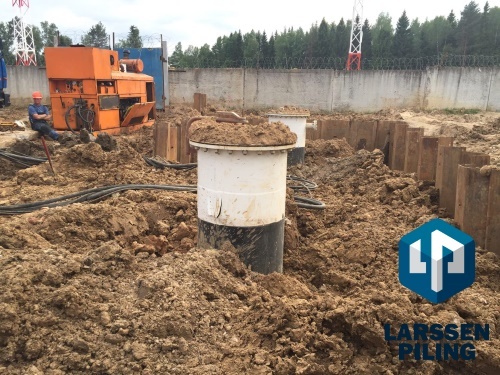 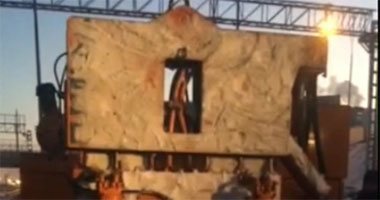 Proper planning of work, own material and technical base, experienced staff, and a 12-hour work day. 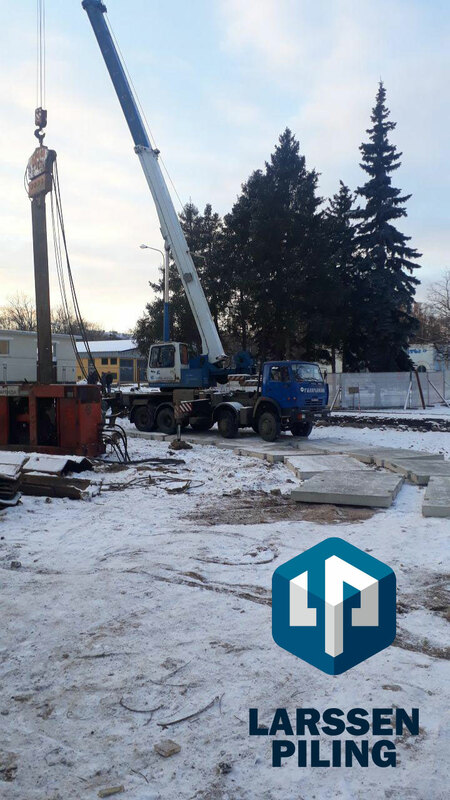 We are motivated for a quick and quality work. 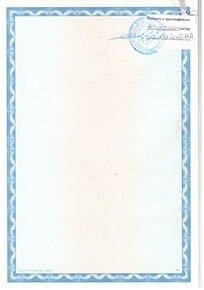 There is no such quality at this price in the market. 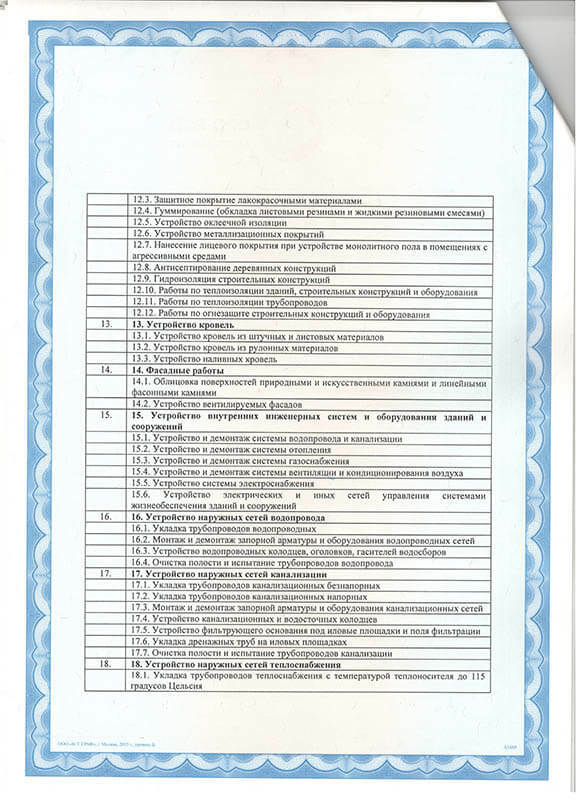 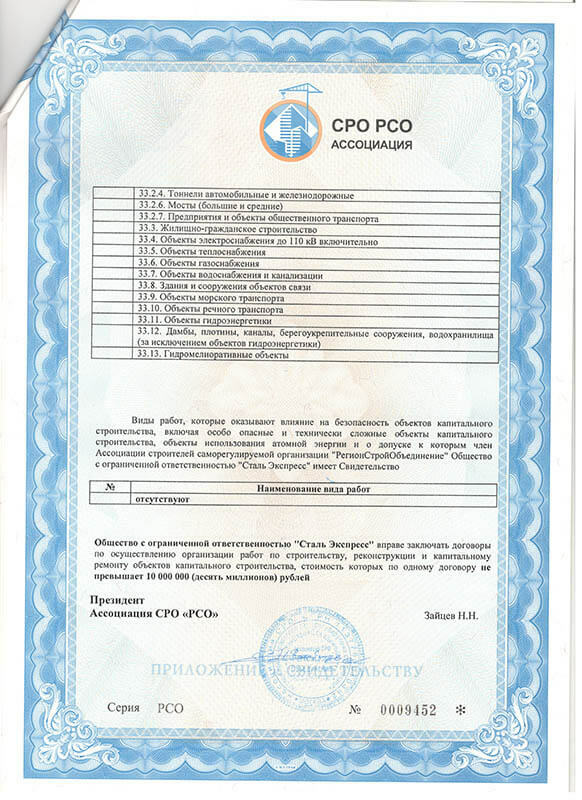 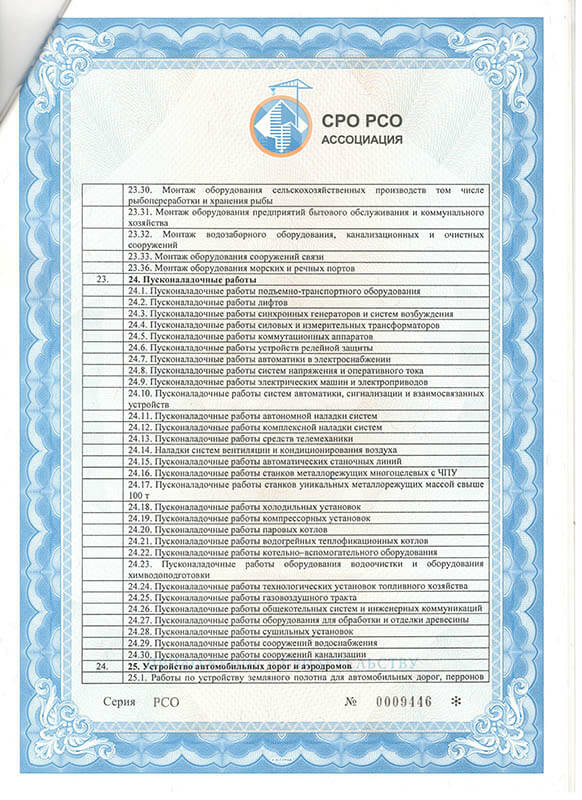 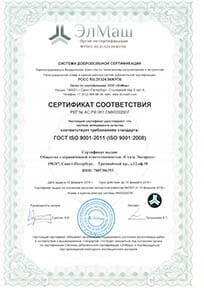 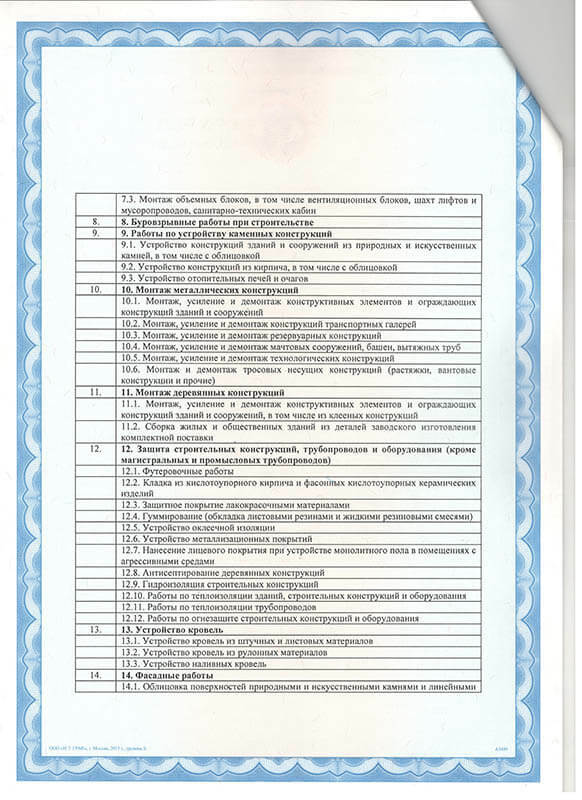 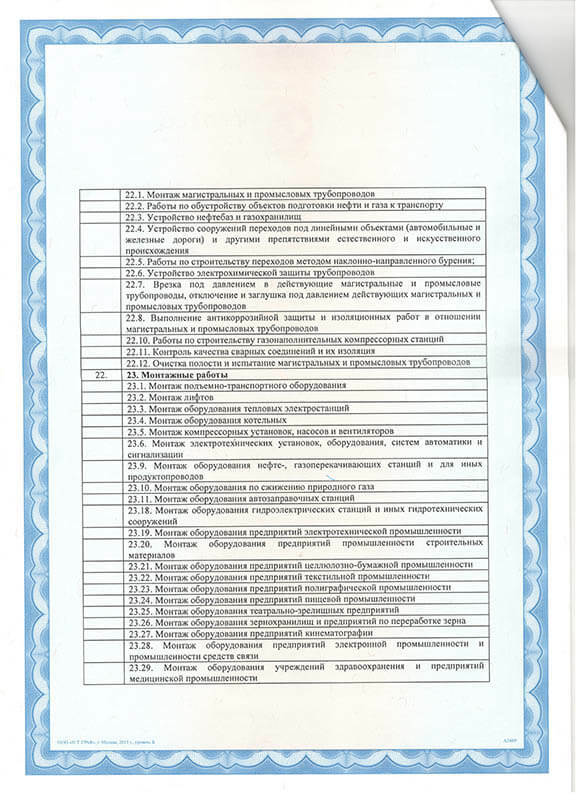 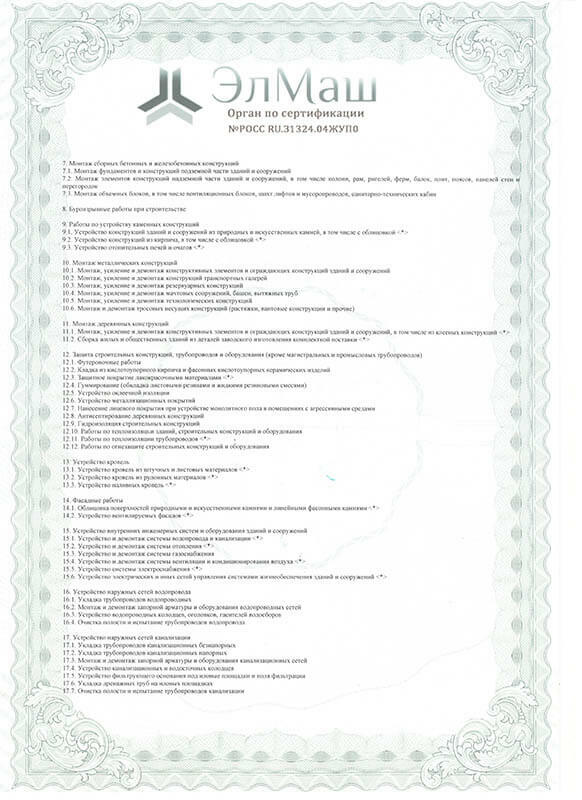 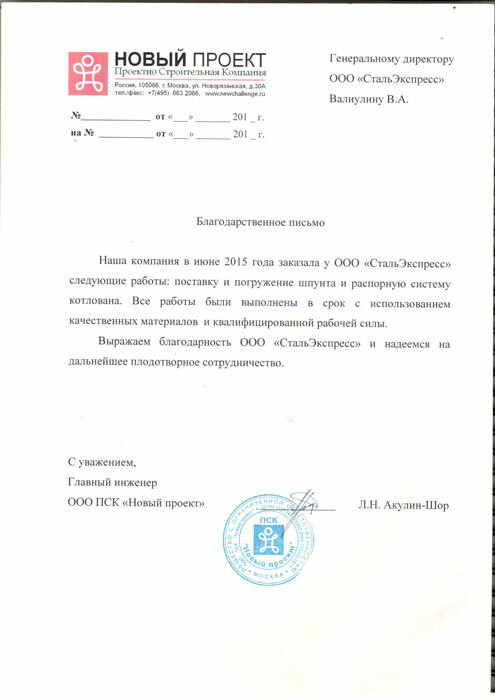 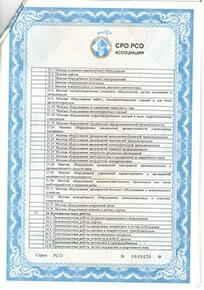 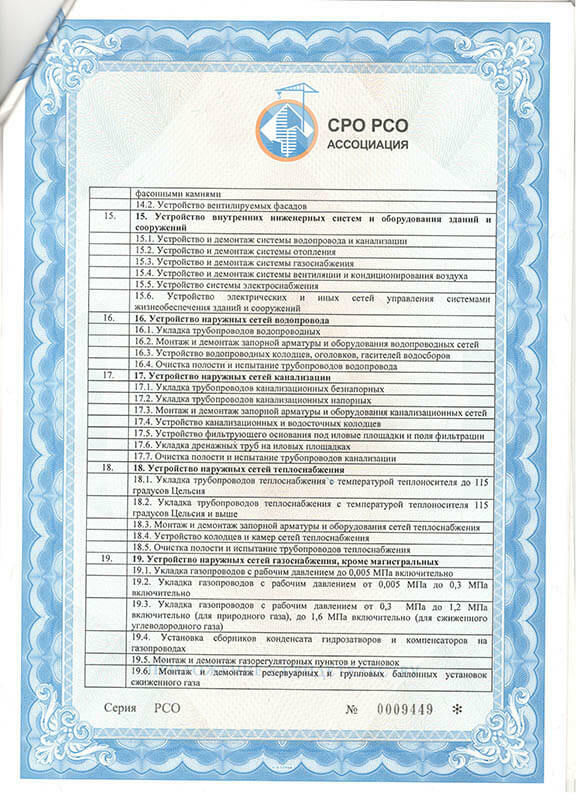 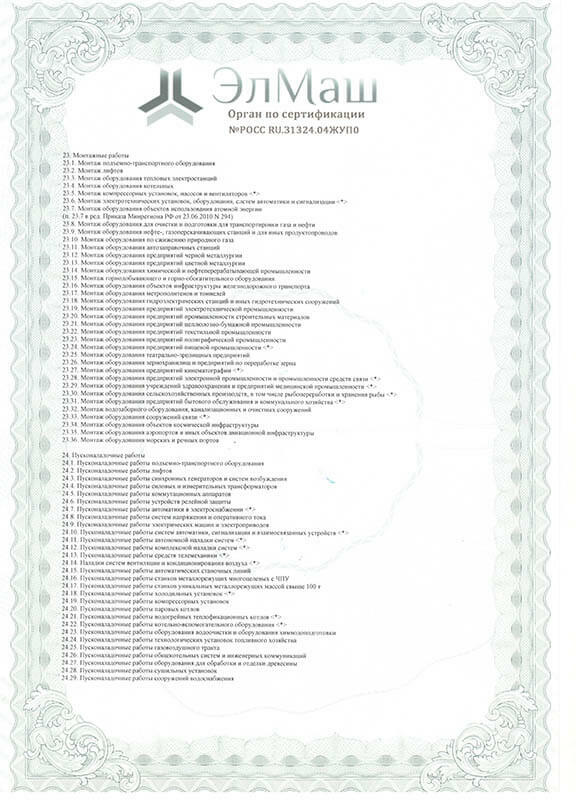 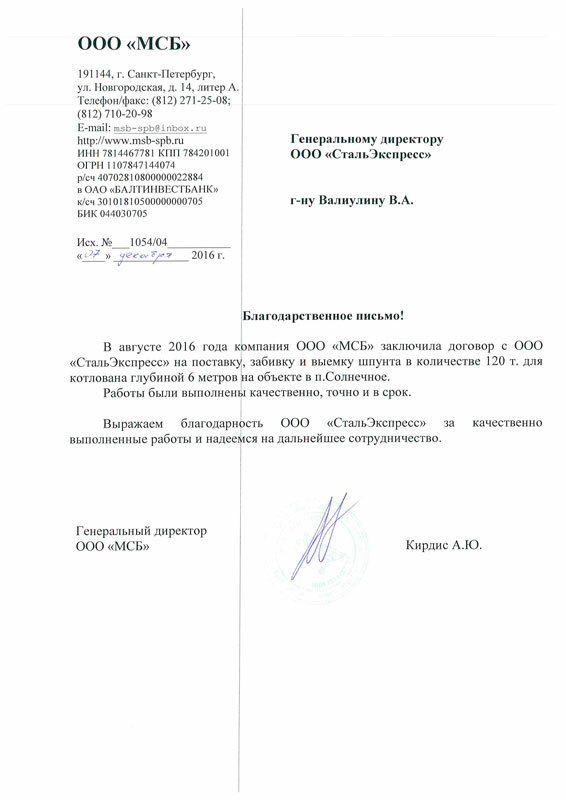 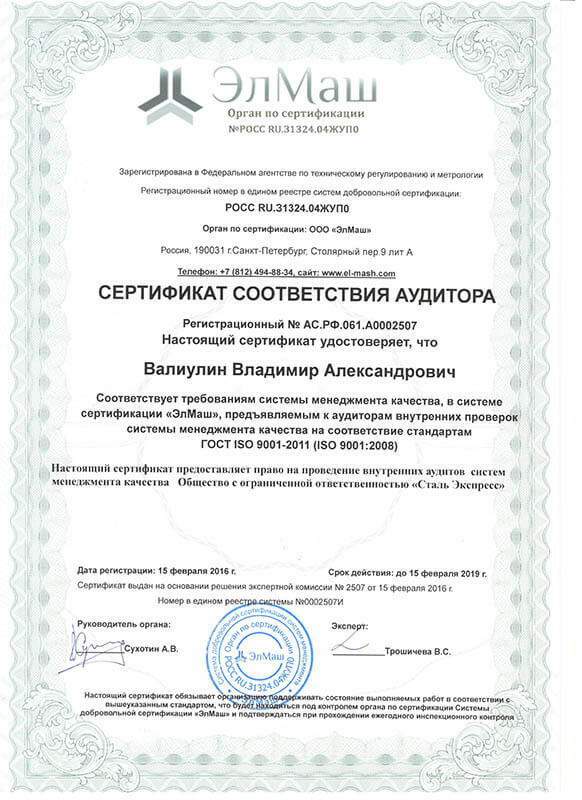 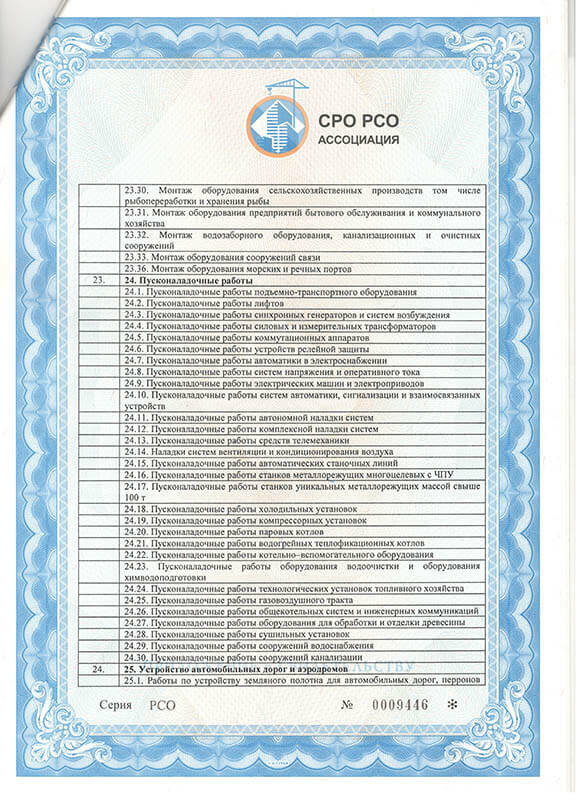 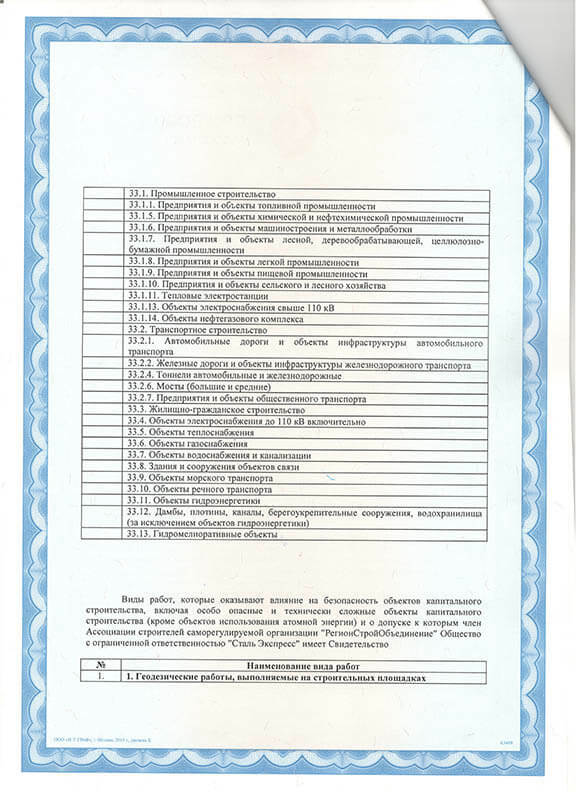 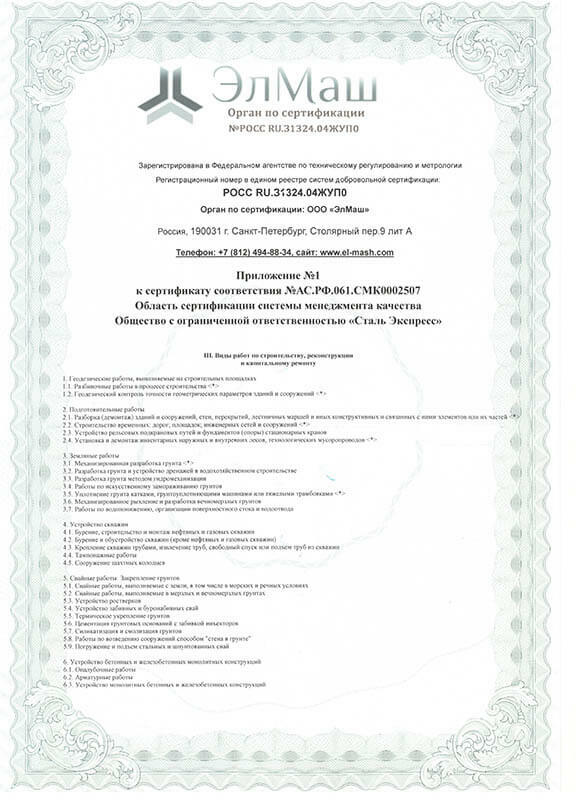 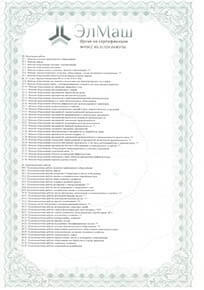 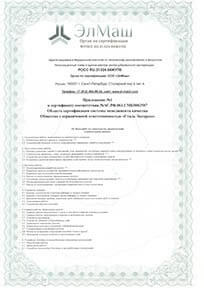 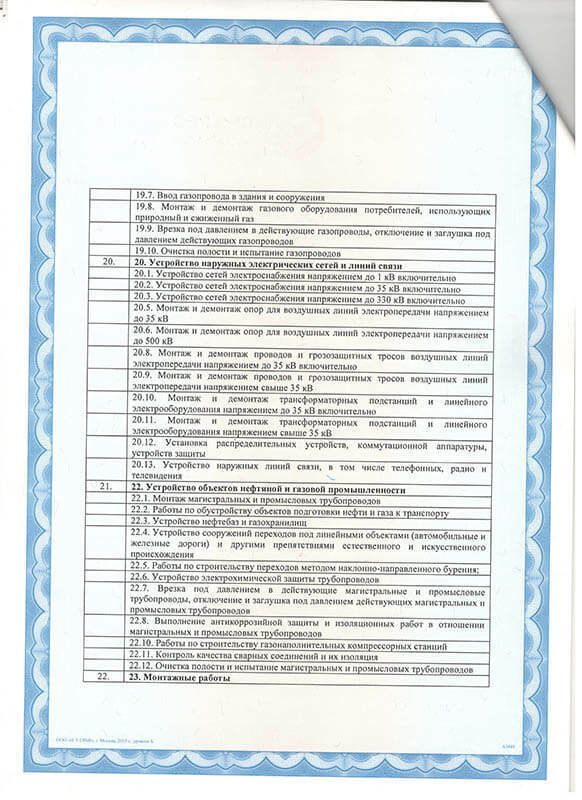 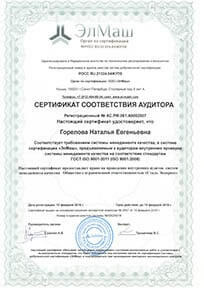 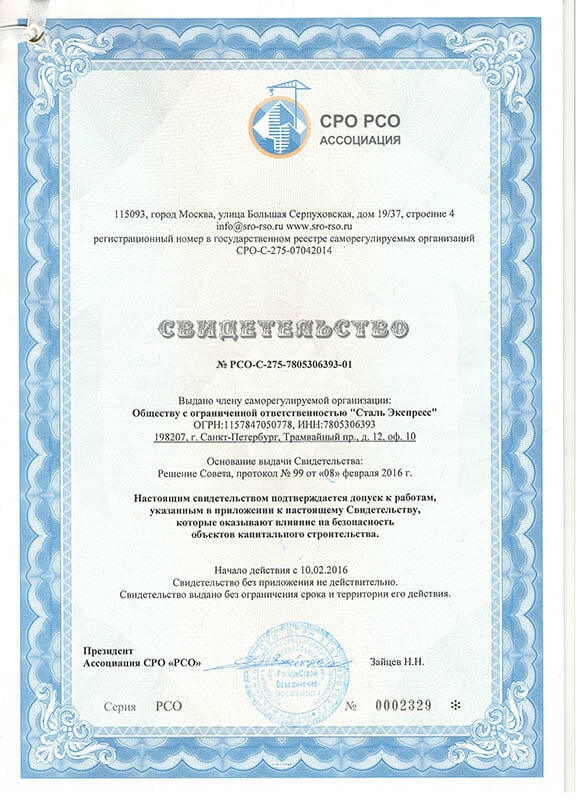 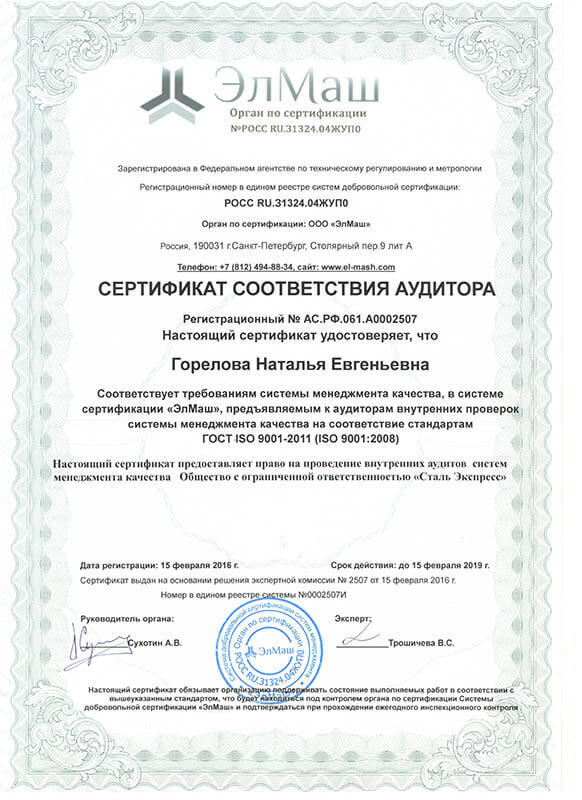 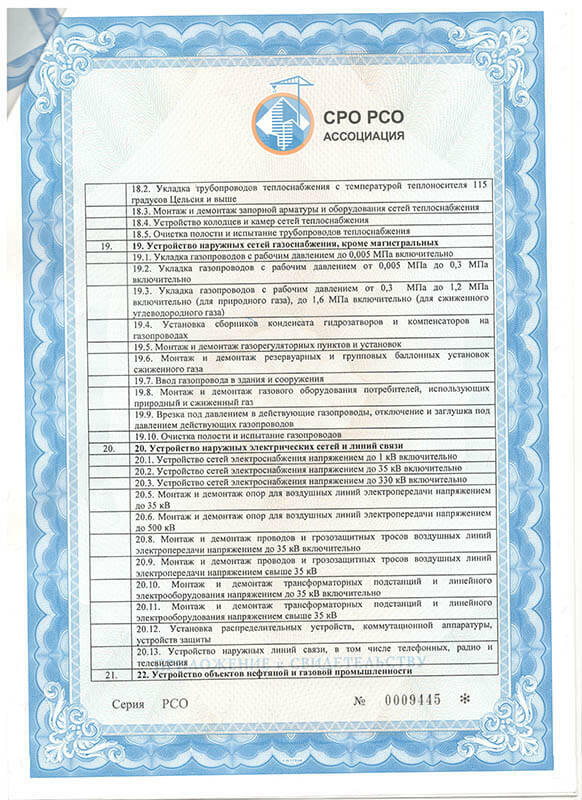 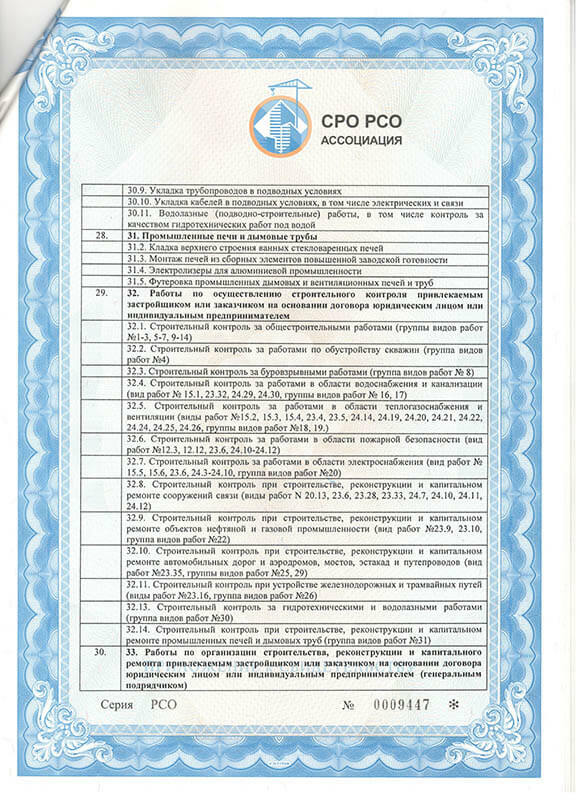 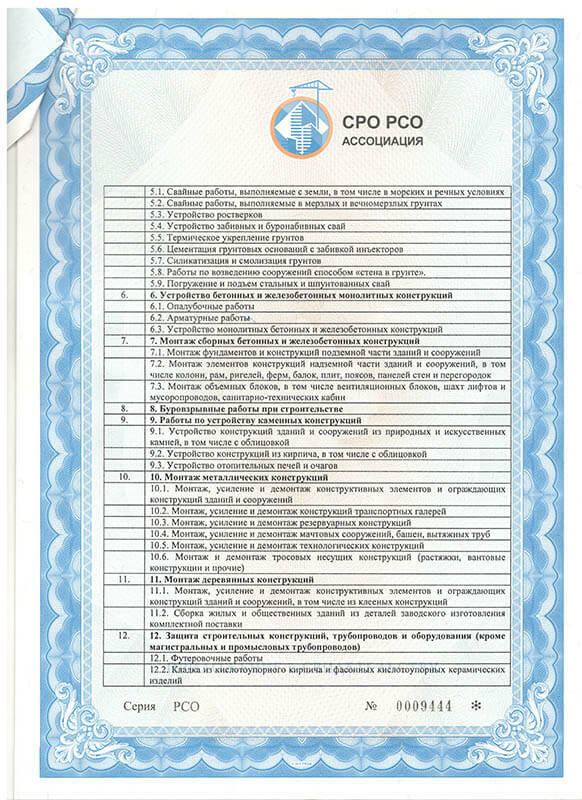 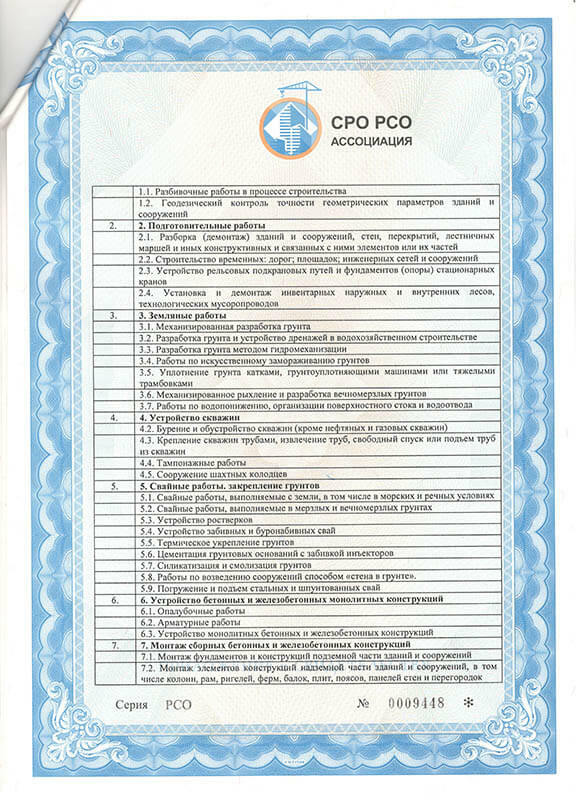 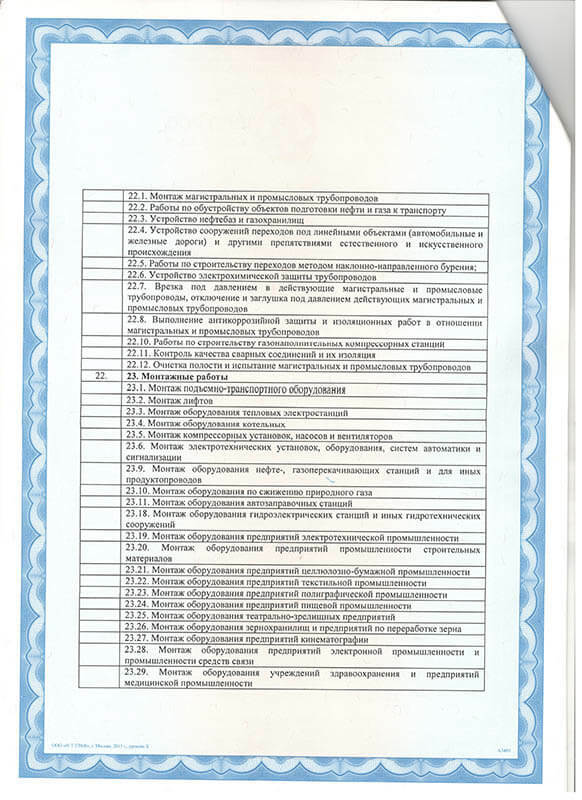 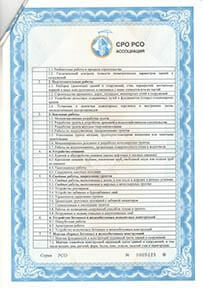 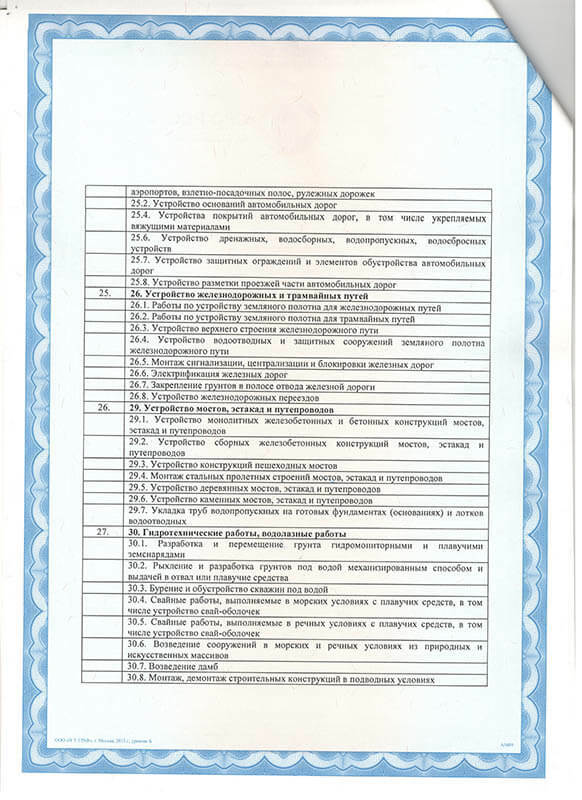 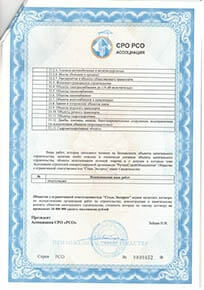 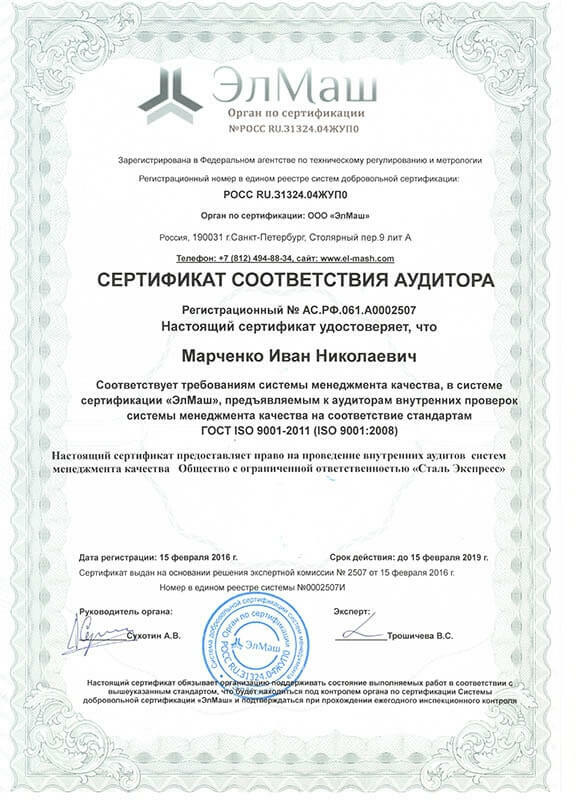 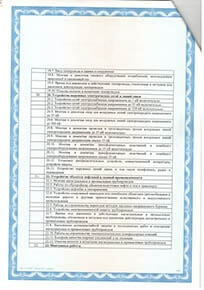 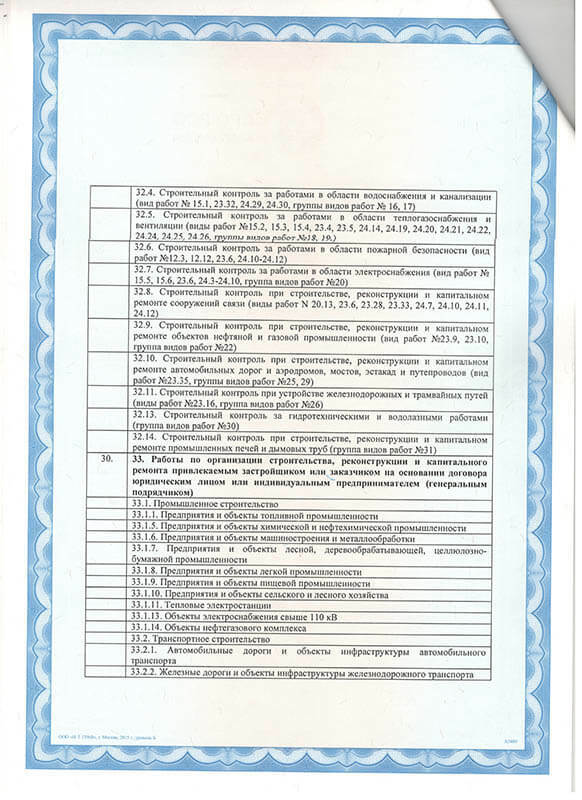 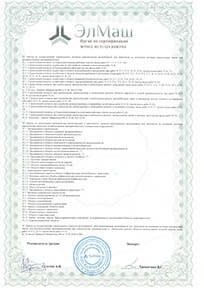 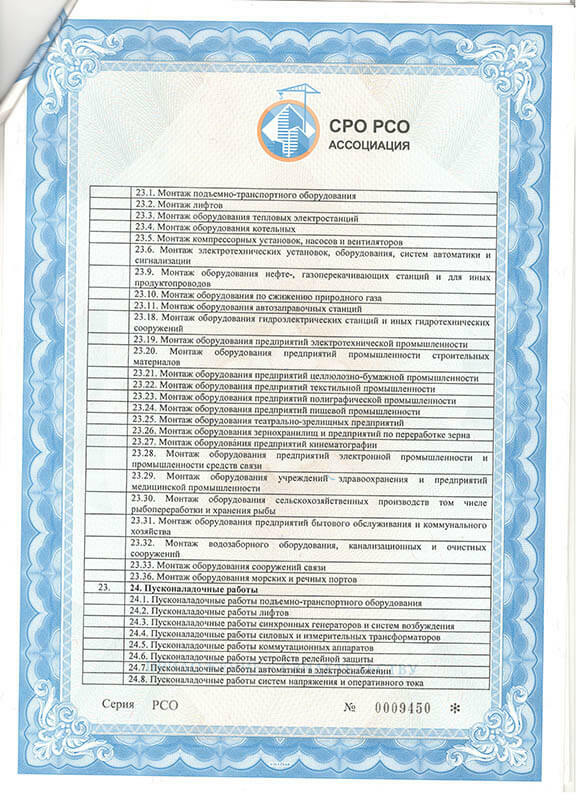 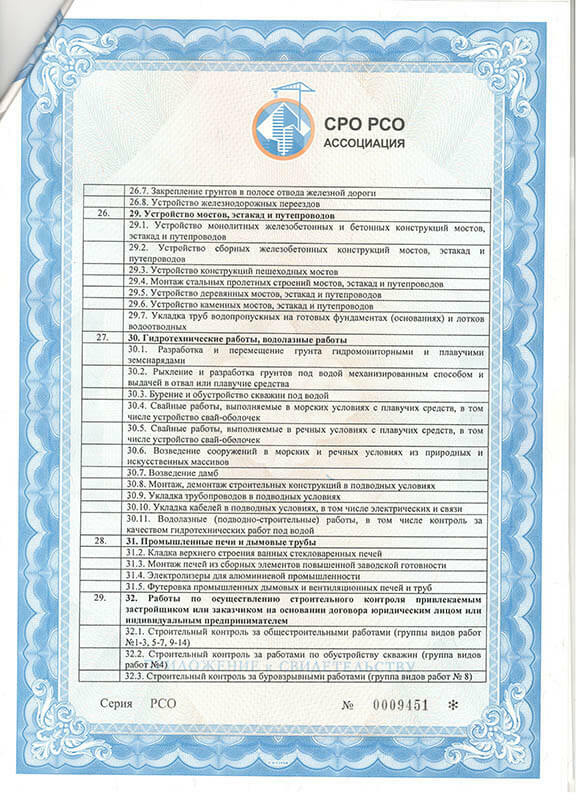 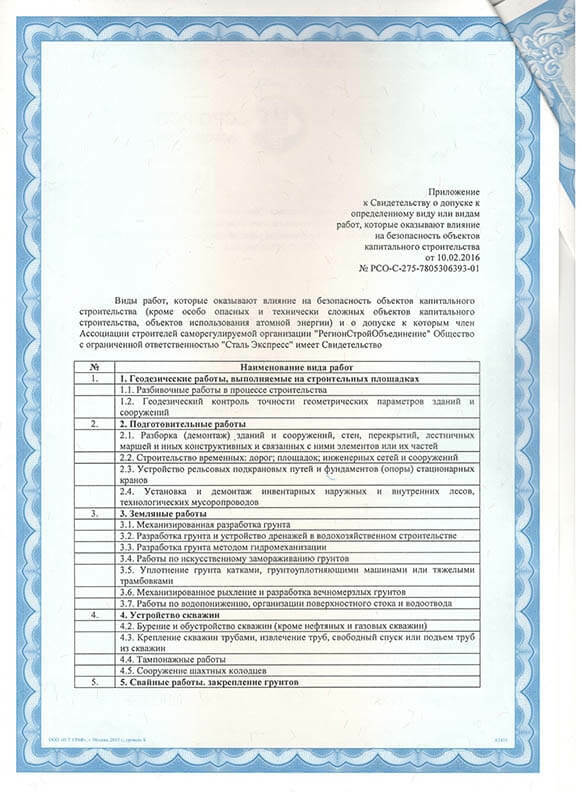 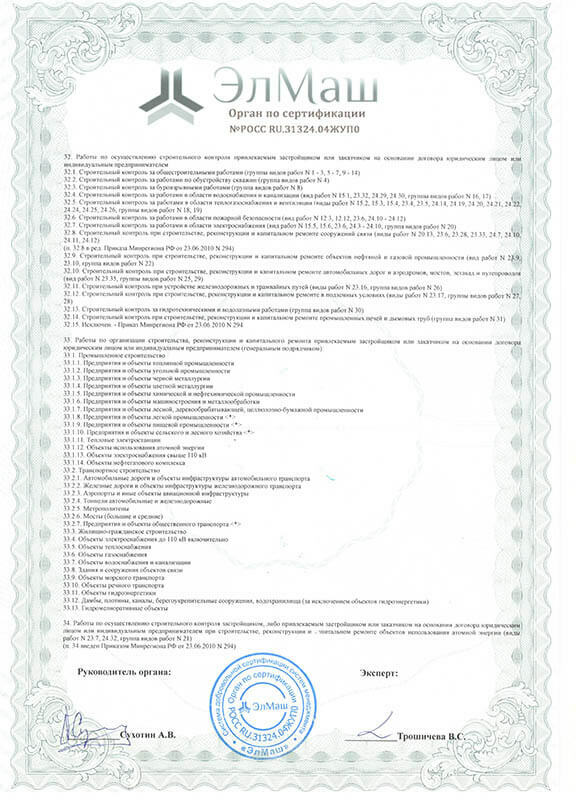 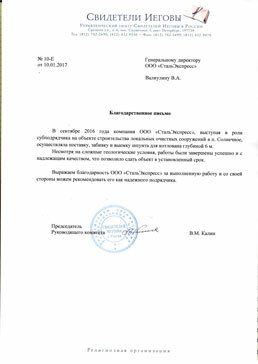 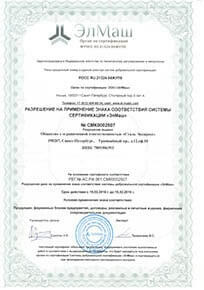 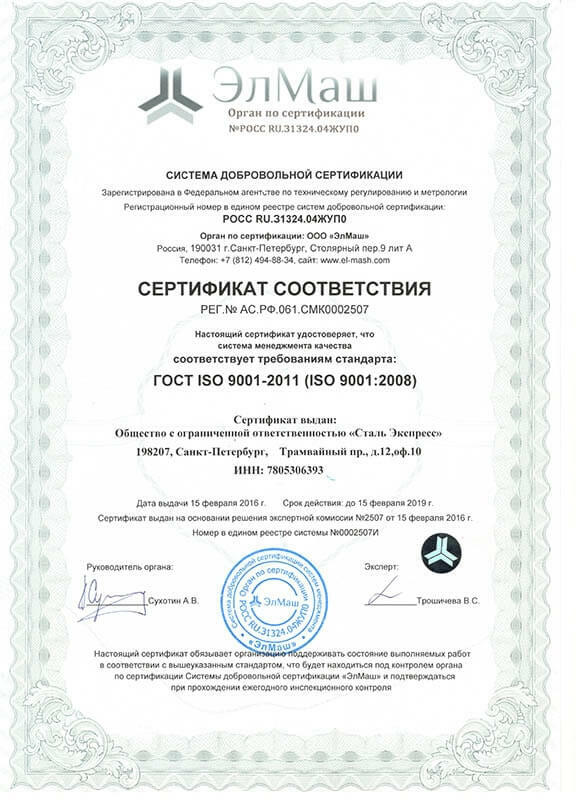 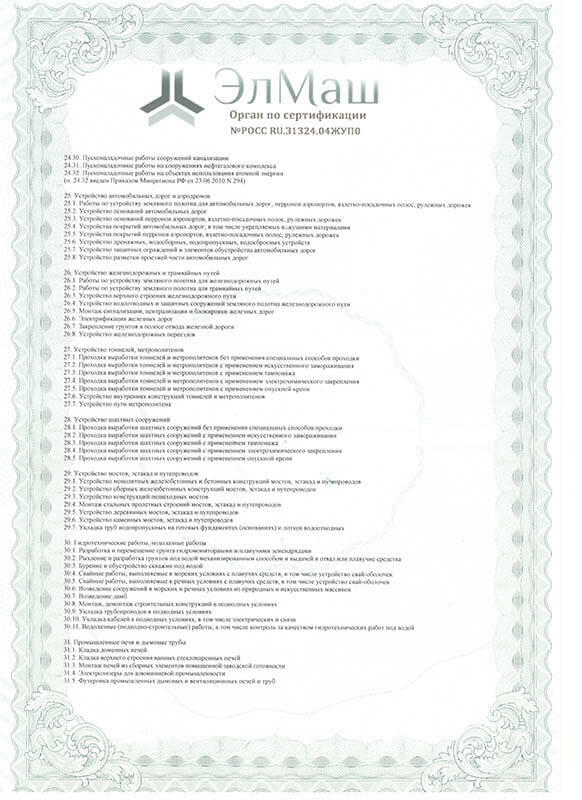 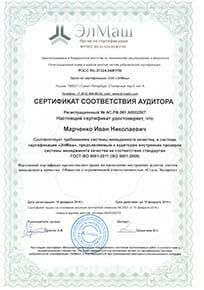 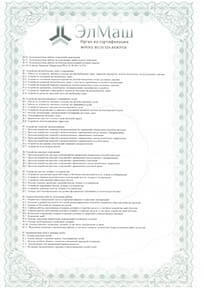 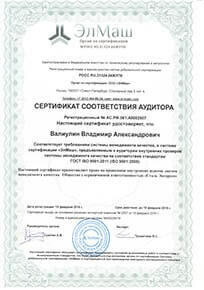 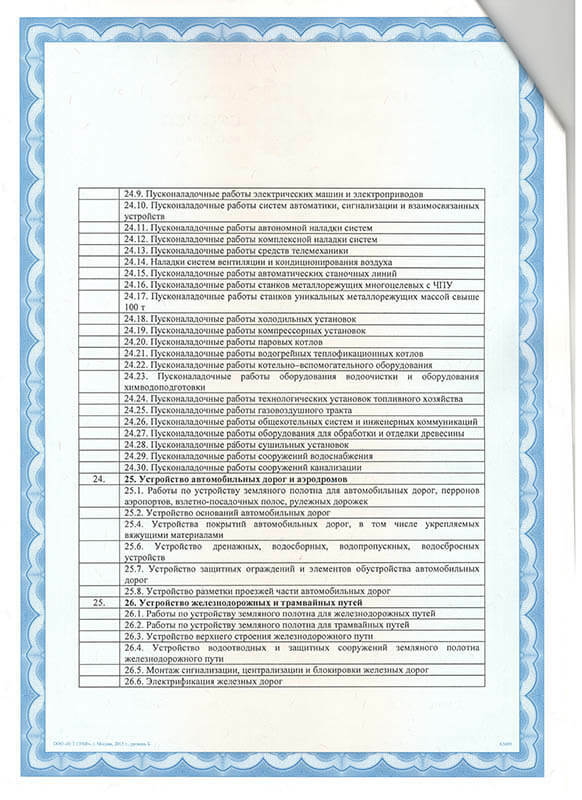 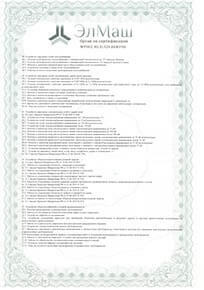 Experienced staff, their qualification is confirmed by the necessary certificates. 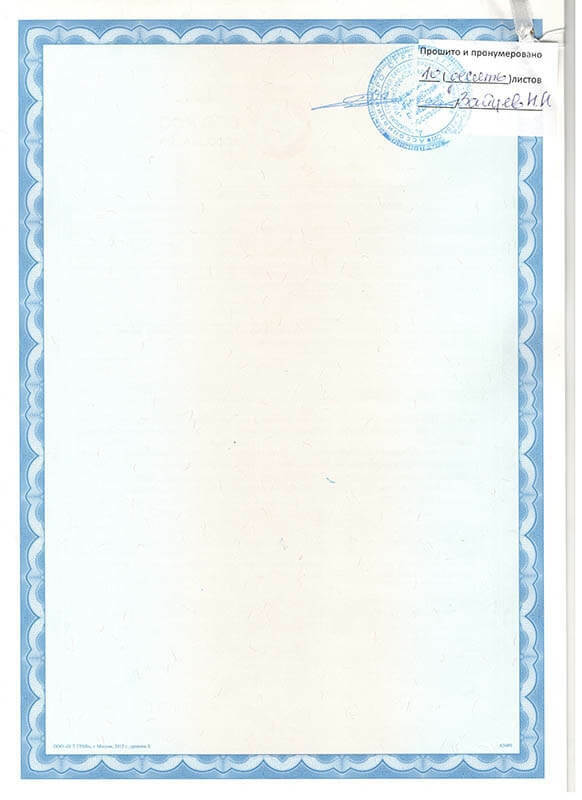 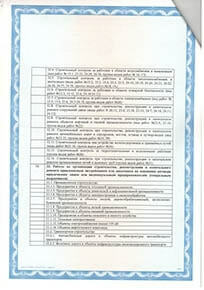 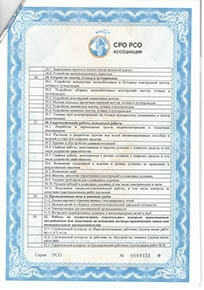 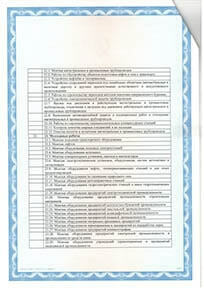 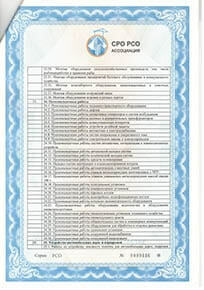 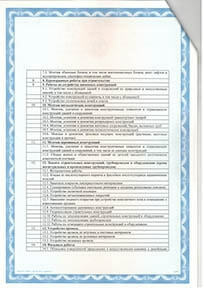 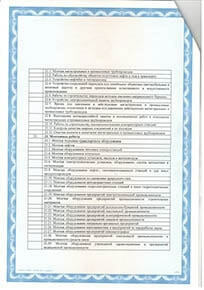 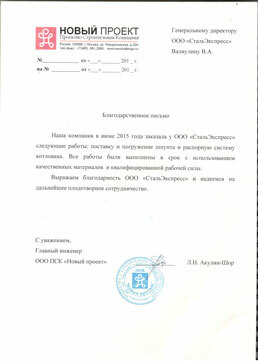 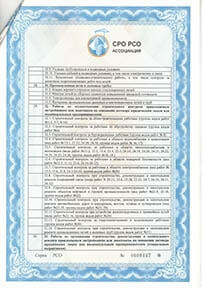 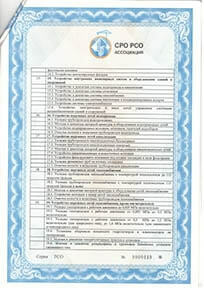 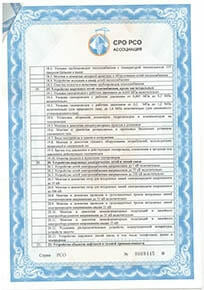 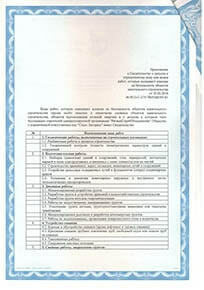 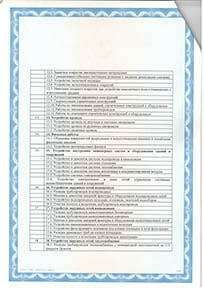 We will provide you with the copies of all the documents. 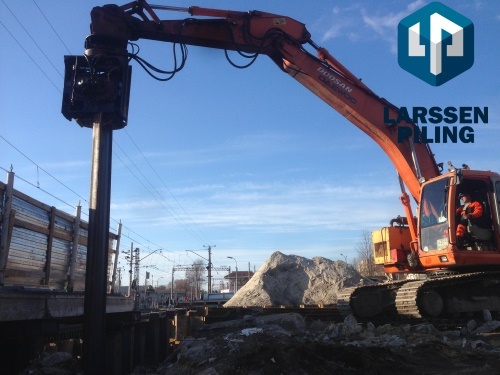 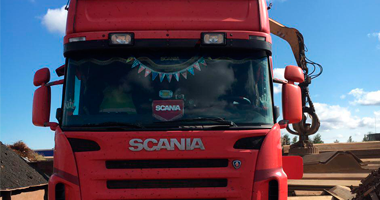 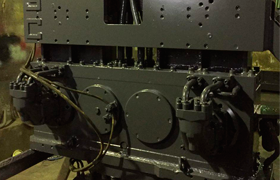 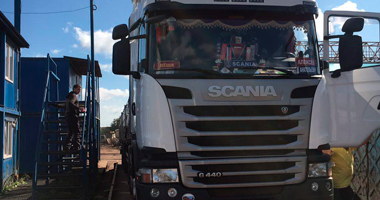 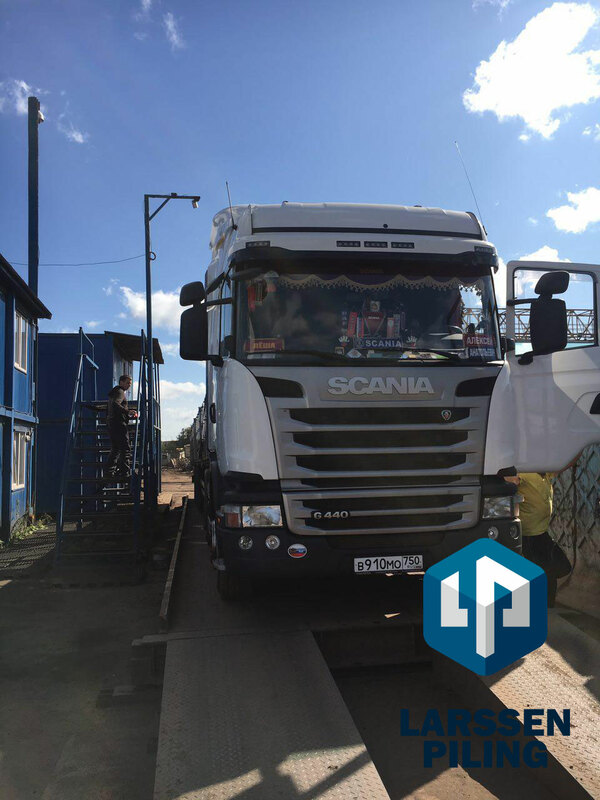 We carefully select and buy the best quality material and carefully monitor its condition, so it will not jam up in interlocks and create any unnecessary delays during the work. 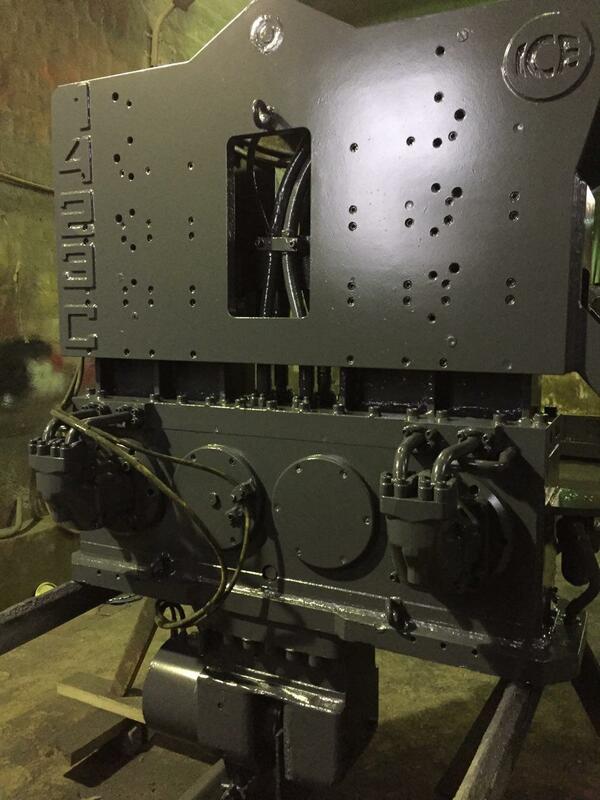 We constantly and meticulously work on quality and improve with each new project. 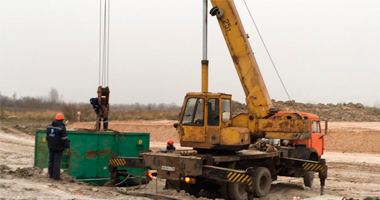 We work in tandem with customers and quickly solve all issues. 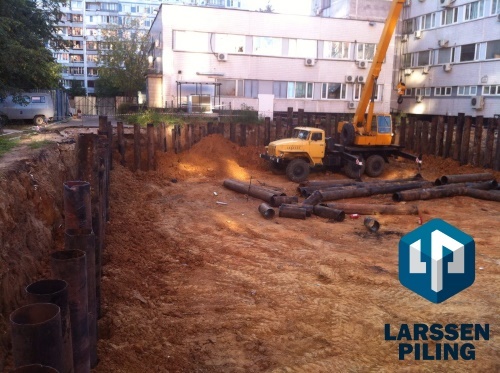 We can provide a reference from any of the previous projects of your choice. 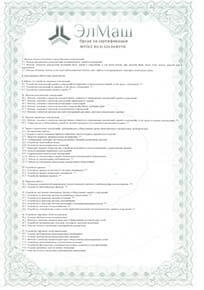 on our website or by phone. You point at the necessary contract alterations and pay advance. 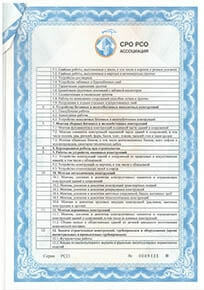 We guarantee quality of our work.